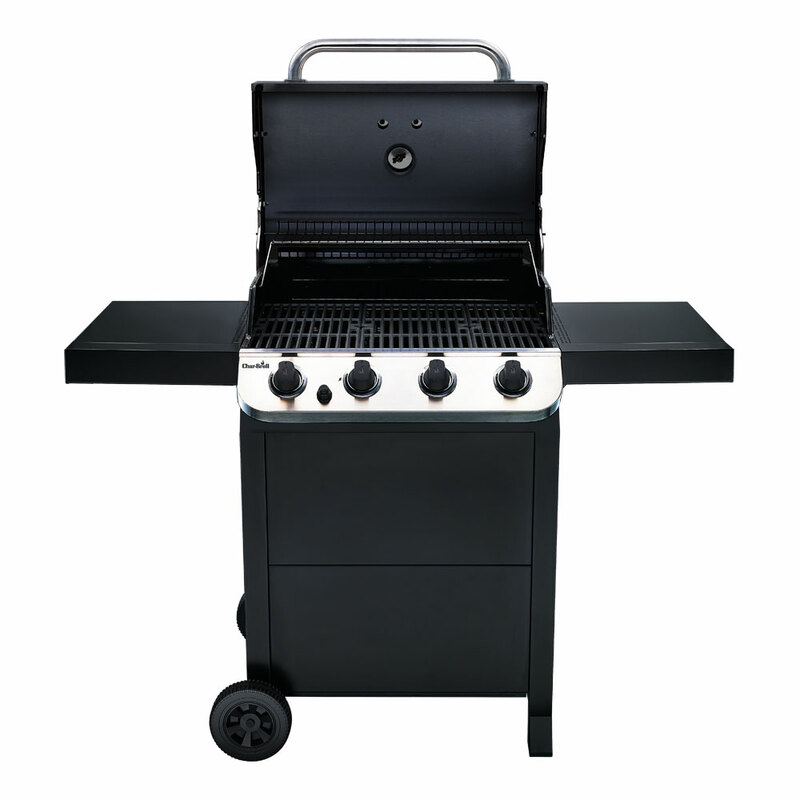 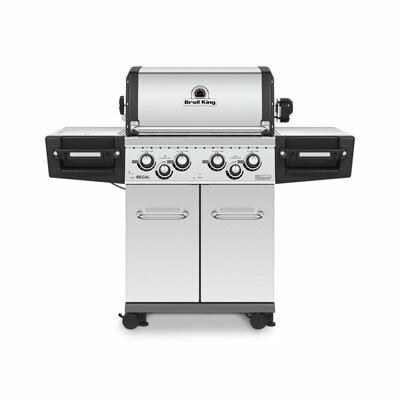 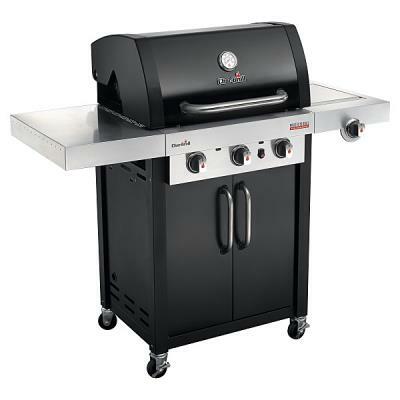 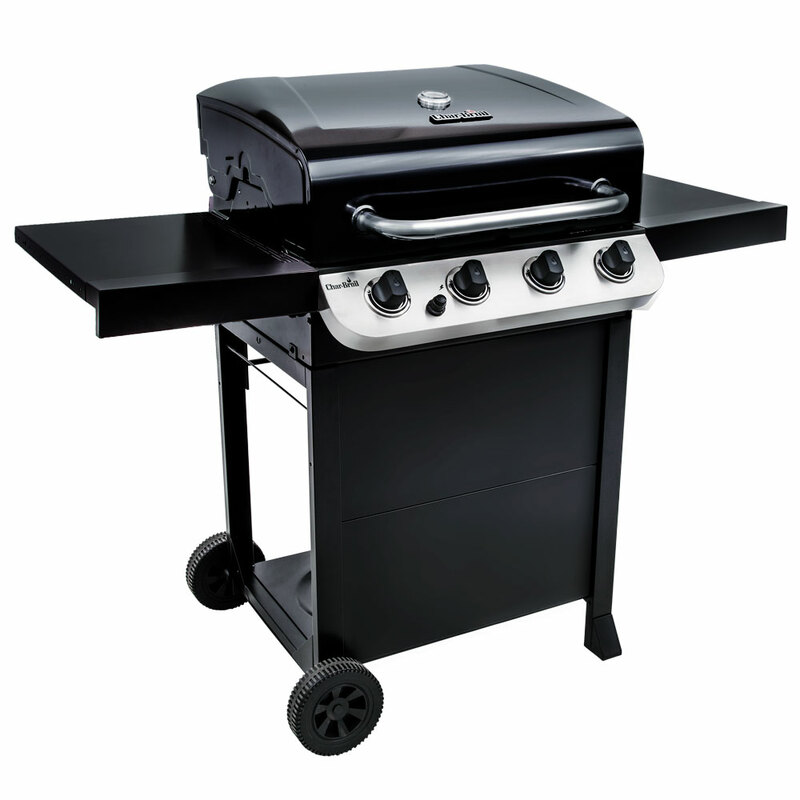 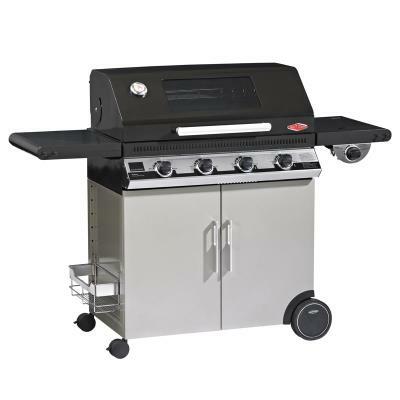 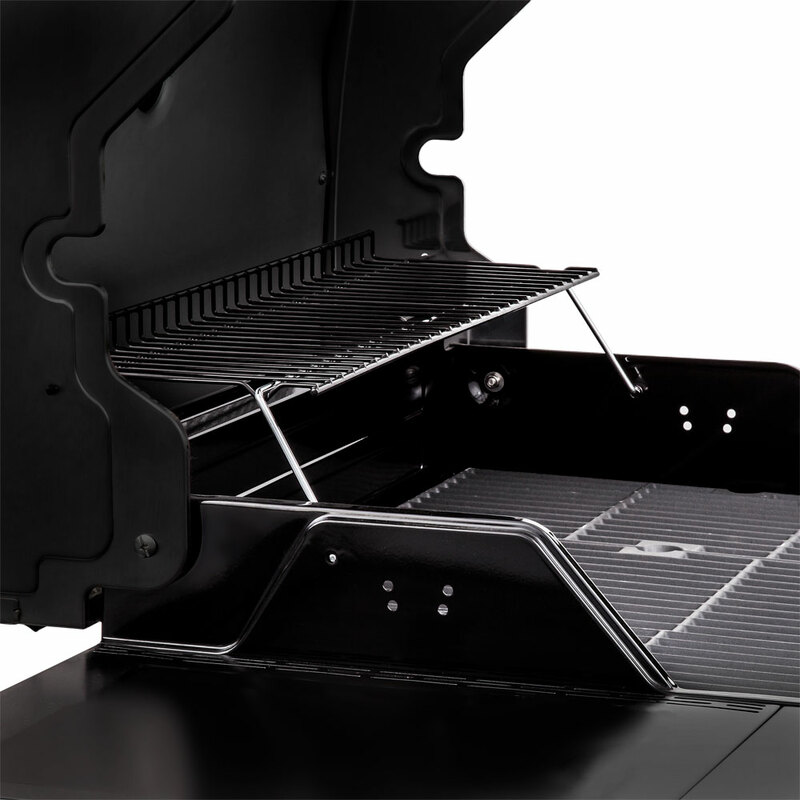 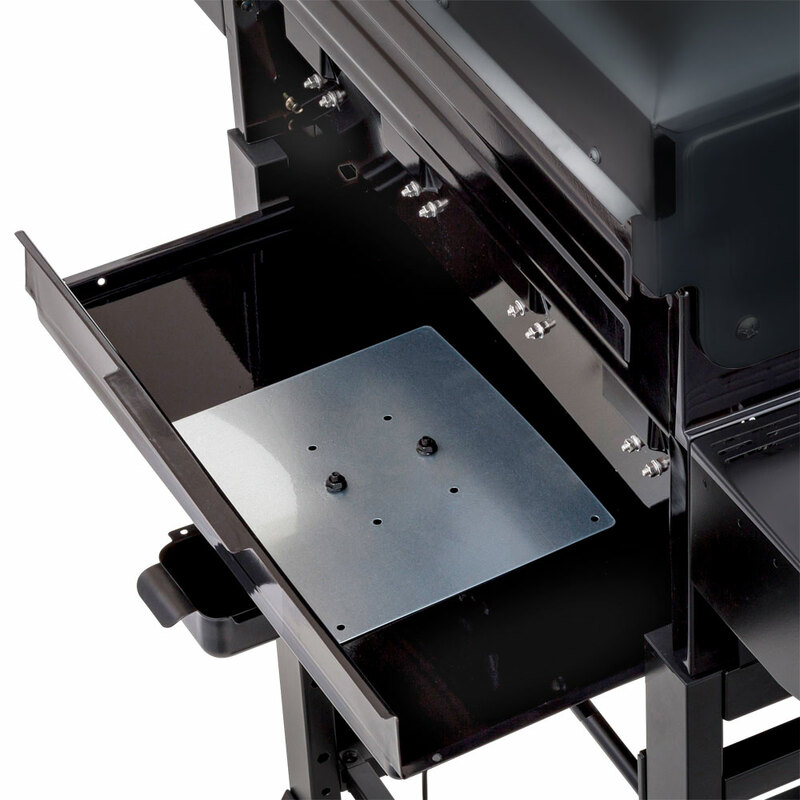 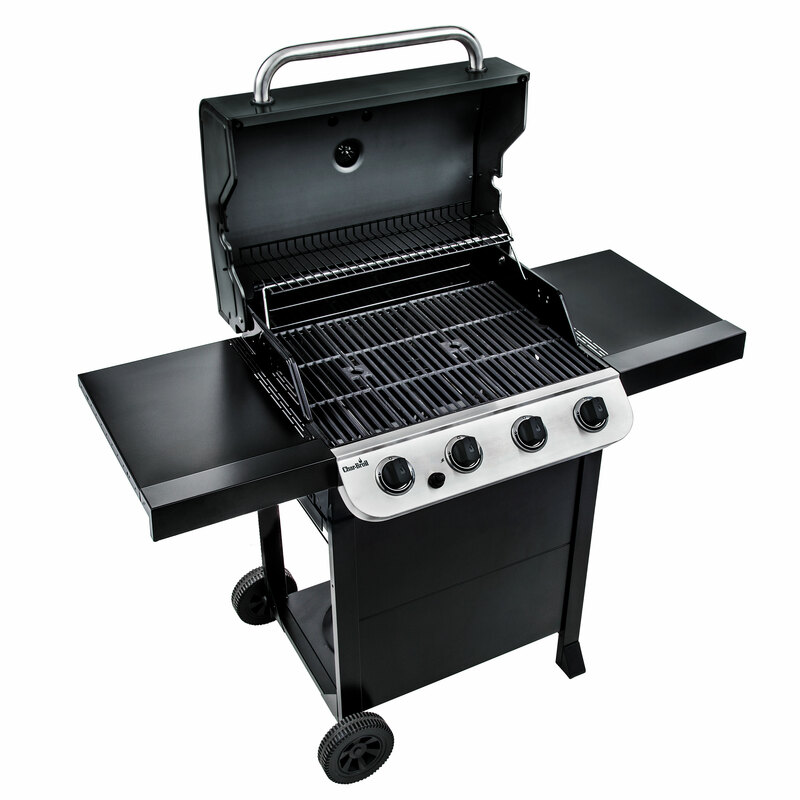 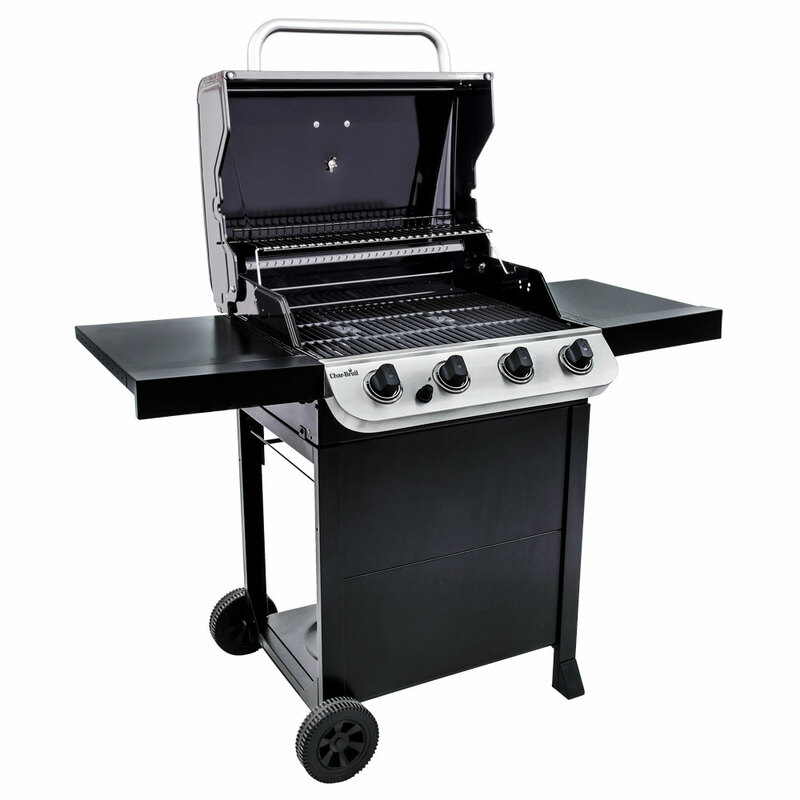 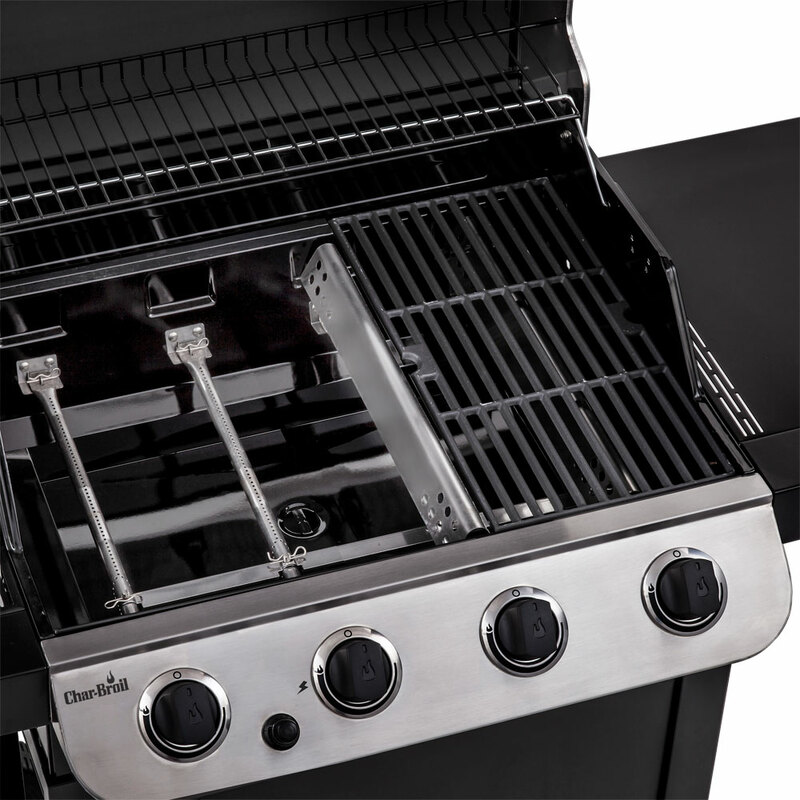 The Char-Broil 410B 4 burner convective grill, part of the Tradition range from Char-Broil. 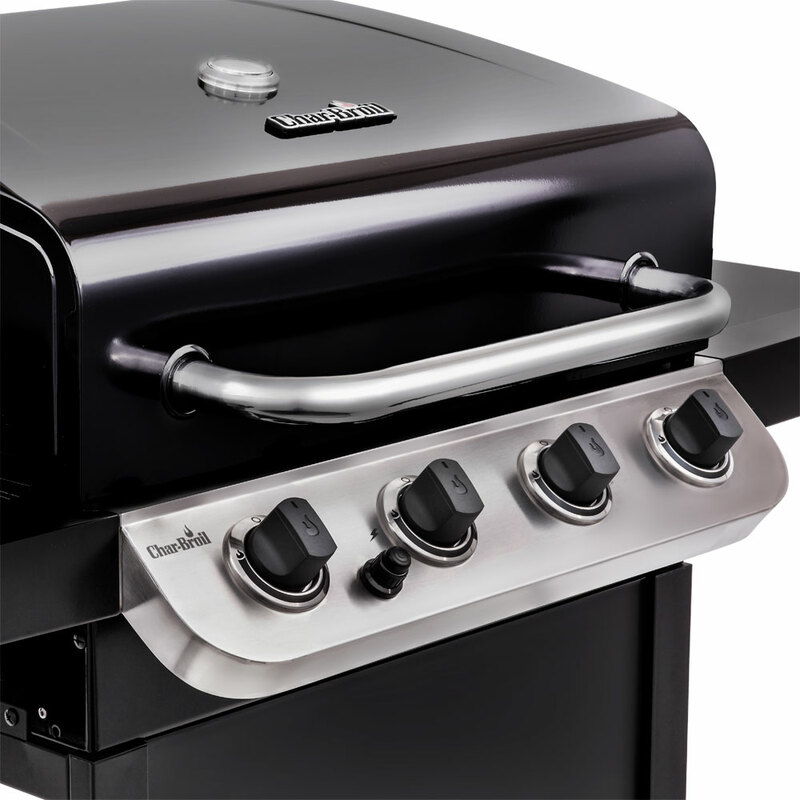 A fantastic traditional gas barbecue by Char-broil great quality and a fantastic price point for a quality 4 Burner. 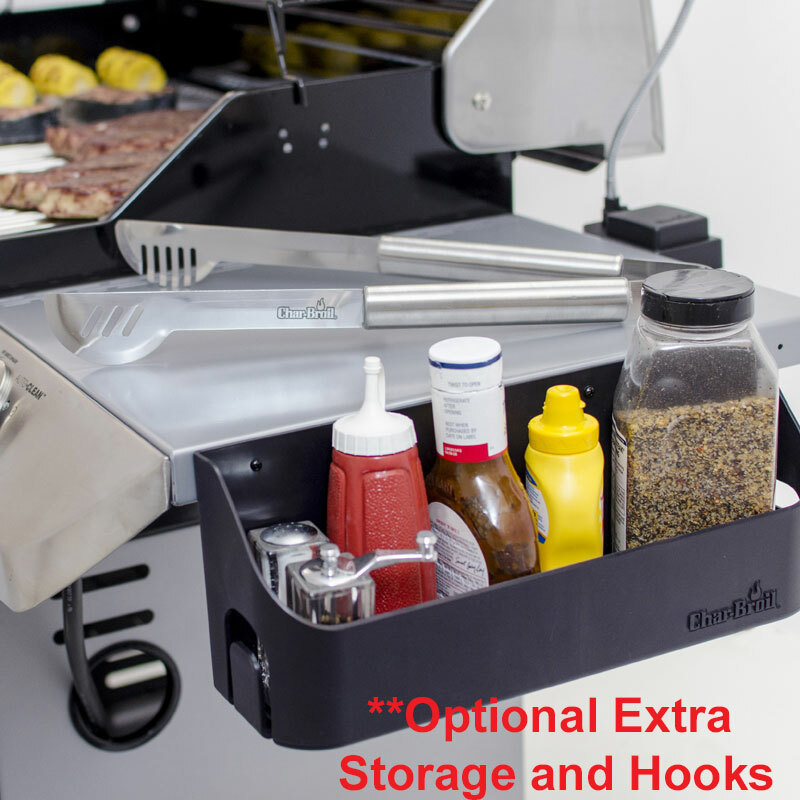 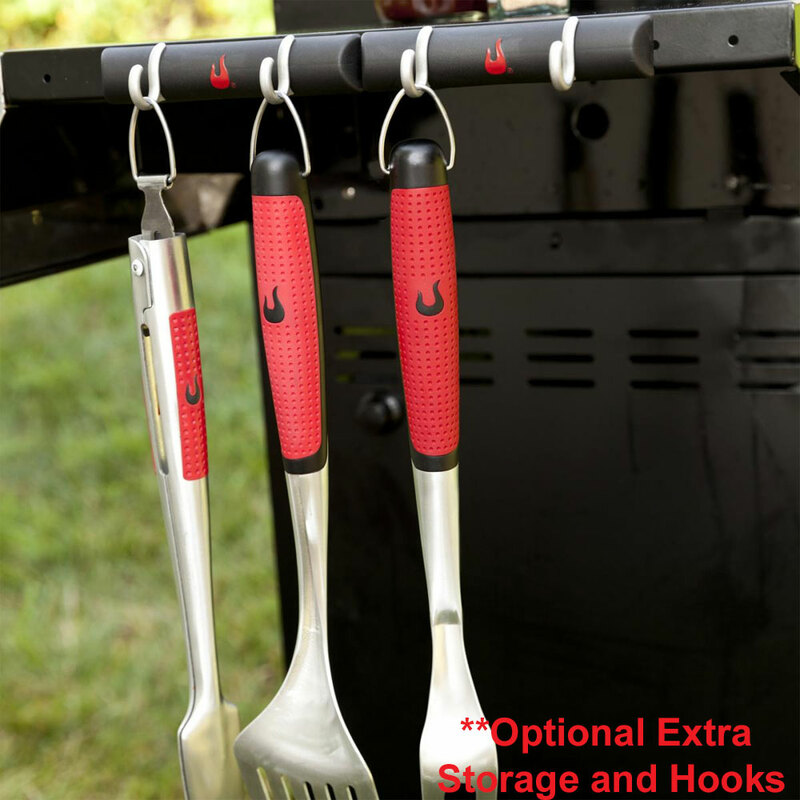 Base Open Cart frame, centrally located temperature gauge on hood, swing away warming rack, removable grease pan, 4 locking castor wheels, Flush side shelves, Wrap handle lid lift.